A residential sanctuary designed to encapsulate refined urban living is this latest development in vibrant Seven Hills. Clearview is the perfect enclave for young professionals, active families and downsizers to call home, with the convenience of being located just 7km from Brisbane CBD. Multiple living and entertaining zones are defined, yet create a seamless transition from stylish interiors to private outdoor spaces. 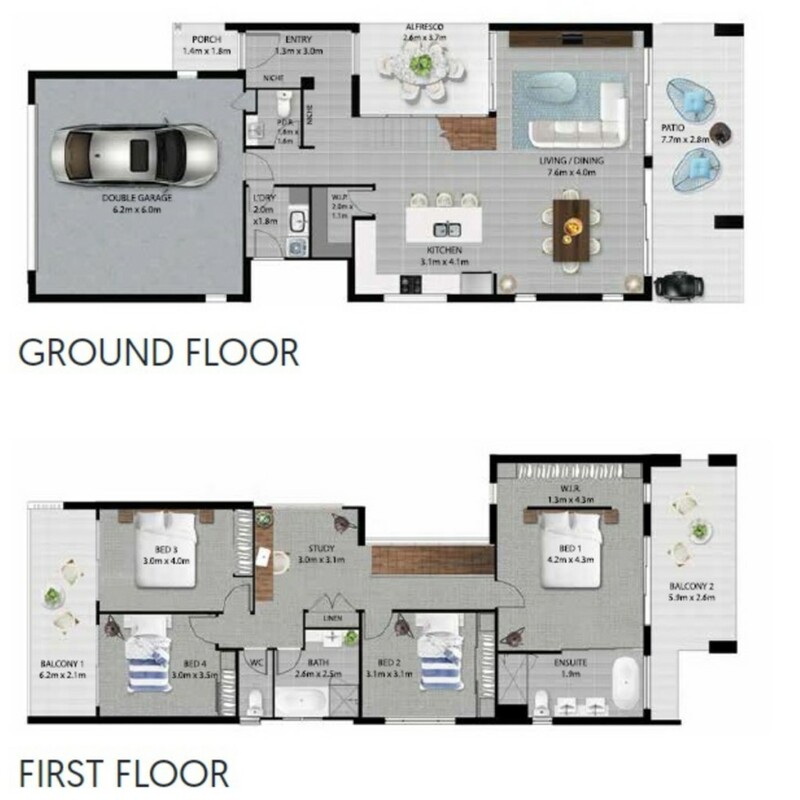 A functional 4 bedroom plus study layout that will meet the demands of busy family life and still cater to those that love an entertaining lifestyle. Cosy enough for an intimate soiree and still plenty of space for an extended family gathering. From the moment you open the front door, the feeling of space and quality surrounds. A beautiful void feature with glass encompasses an outdoor dining setting, great for entertaining and also a spot for the pets and kids to be visible. Moving through the home, the kitchen, which services these open plan spaces well, is finished to a high specification with stone benchtops, integrated Miele appliances and butlers pantry. Flowing to the dining area and living room, which easily interacts with the outdoor dining and backyard pool and grassed area, a great place for the family and kids to be watched from inside. A separate powder room and laundry are present on the bottom level allowing easy access for guests and from the garage. the glass void shutters are encased in Crimsafe, as is all the main areas of the home providing security for your family. A separate study or media area and plenty of storage just one of the additions to this home. Lush wool carpet is present throughout the second level of the home along with custom fitted window coverings and ducted air conditioning. Two bedrooms with robes and a Juliet balcony located upstairs share a bathroom, great for the family or guests. Meticulous attention to styling and the finer details have created a distinctive home that will appeal to buyers seeking a superior class of property. A true four bedroom plus study home, there is ample accommodation here no matter your requirements. This freehold residence rests on a fully fenced and beautifully landscaped block. A low maintenance home that presents a fantastic opportunity to be a part of one of the inner east's most significant urban village projects in this state-of-the-art community hub. Surrounded by recreational parks and close by to Seven Hills Bushland Reserve and located in the Clearview Urban Village with planned community facilities, childcare, cinemas, recreational areas.